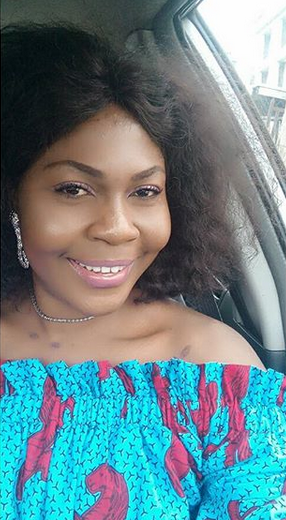 Ene Ogiri, a Nollywood actress and script writer has just shared her near death experience on social media saying someone almost killed her and it is JAZZ. Honestly this is very scary. Thank God for Jesus. Read…. These were my legs from mid March this year. I was poisoned (Africa vugu) earlier this yr but it started manifesting after my birthday in March 8th. ..someone tried to kill me...pain is an understatement to what I went thru, 3 times I saw myself dying, hospitals couldn't do anything for me, no medicine worked, for months I was bedridden but only extremely closed people to me knew, while I posted pictures on social media with my legs all covered up just not to give that evil person the pleasure of the suffering I was going throu, I was fighting for my life but it was a fight of faith..... only my faith in God saved my life, God came thru for me, the reason for the thanks giving I held a few weeks ago, after I got better and could use my legs again, I left the country..... whoever did this to me will see this post, so hear me well, don't try anything against me again, for your own good, please, don't try it again, bcos if you do, you and everyone that plotted will lose their lives for it.... I'm a child of God and that is a very big deal, don't try the God that I serve. please, do no evil against me again. study psalm 2 verses 1-4 & Lamentations 3 verses 37... But I got victory and I give God all the glory..... Trust no one but God, only God's love is true.... hold on to God some body, HE never fails..
» Viola Llewellyn Shares Her Wealth of Experience in FabAfriq’s Inspirational Issue.